This morning our family started reading the Book of Exodus. 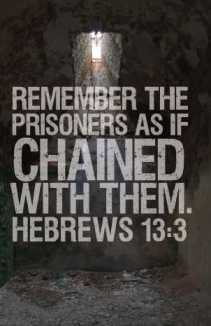 I’m excited for us to recall the amazing story of God’s rescuing Israel from slavery in Egypt. What a wonderful picture of the sovereign work of God on behalf of sinners. God’s faithfulness to Abraham, Isaac, and Jacob is carried forward to a people who, if we’re honest, does not necessarily “deserve” to be rescued (if you read through Exodus, you’ll understand why I say that). In chapter one, we find that “the people of Israel were fruitful and increased greatly; they multiplied and grew exceedingly strong, so that the land was filled with them” (v.7). I wonder if this is the author’s way of demonstrating that the commission given to the Patriarchs to be fruitful and multiply was continuing to take place (cf. Gen. 1:28; 9:1, 6-7; 12:2-3; 17:2, 6, 8; 22:17-18; 26:3-4, 24; 28:3-4; 35:11-12; 47:27; also see G. K. Beale’s JETS article, “Eden, The Temple, and the Church’s Mission in the New Creation”). At any rate, Israel’s numbers was increasing, and when a new king (Pharaoh) arose over Egypt, he did not find this comforting. In fact, his worry was that the growing number of Israelites would join the forces of Egypt’s enemies in the event that war broke out (Ex. 1:8-10). Pharaoh’s solution? “Come, let us deal shrewdly with them, lest they multiply, and, if war breaks out, they join our enemies and fight against us and escape from the land” (v.10). Egypt’s new position towards Israel caused them to “set taskmasters over them to afflict them with heavy burdens” (v.11). Thus, slavery begins and the plight of God’s people starts. This is a great way to start a book, by the way. We’re set looking for a plot resolution from the moment we start reading! “But the more they were oppressed, the more they multiplied and the more they spread abroad. And the Egyptians were in dread of the people of Israel” (v.12). Evidently the oppression actually brings about the opposite effects. Sorry, Mr. Pharaoh, your persecution of God’s people, with the aims of afflicting them in order to keep them in check does not work! This reminds me of what we read in the New Testament. Persecutions, trials, and suffering produces positive characteristics in the lives of God’s people. “Count it all joy, my brothers, when you meet trials of various kinds, for you know that the testing of your faith produces steadfastness” (James 1:2-3). “For this light momentary affliction is preparing for us an eternal weight of glory beyond all comparison, as we look not to the things that are seen but to the things that are unseen. For the things that are seen are transient, but the things that are unseen are eternal” (2 Cor. 4:17-18). There are positives to living in a fallen world. Though there are trials, persecutions, and sufferings, for followers of Jesus, those negatives have positive affects. They are God’s way of refining us. Our apostolic witness is that our character is refined, we share in Christ’s sufferings (cf. Phil. 3:10), and we are being prepared for and given a greater expectation for future glory. When Joseph confronted the brothers who had sold him into slavery, he said to them, “you meant evil against me, but God meant it for good” (Gen. 50:20). This is a great picture of God’s providential hand.